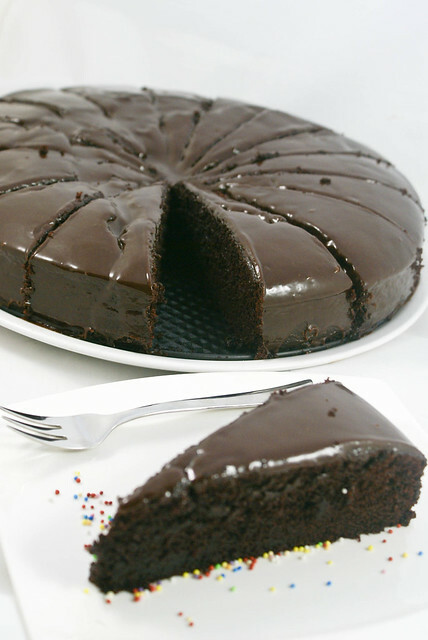 Chocolate is the most widely and frequently craved food. People also readily label themselves as “Chocoholics” and some people like me admit that they are ‘Addicted to Chocolate’. And for someone like me this Cake is just heaven !!!! Try it to believe it! My son had Lantern Festival in his Kindergarten last week, and I baked this for the buffet arranged there. The day is celebrated on the evening of November 11 in most areas of Germany. 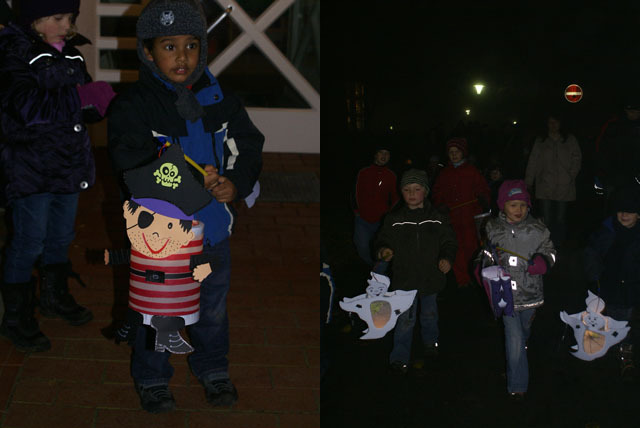 Children go through the streets with paper lanterns and candles, and sing songs about Saint Martin. The lantern festival is often compared to American Halloween which comes ten days earlier. Like at Halloween, children often receive sweets and tiny pastries from people watching the parade of lanterns and hearing the many lantern songs. Coming to the recipe… this was a huge hit and completely sold out at the buffet. Preheat oven at 200 degrees C, and grease and a 8 inch round pan with butter and set aside. Sift together the flour, baking soda, baking powder and the cocoa powder. Beat together the butter and sugar till soft and fluffy. Add in the eggs, one at a time and beat for one full minute after each addition. Add the essence and the jam and beat until combined. To this, add in the sifted dry ingredients alternately with the milk, beginning and ending with milk. Fill the batter into the cake pan and pat the pan gently on the kitchen counter from all sides. Bake in the oven for about 45 minutes or until a toothpick inserted into the middle of the cake comes out clean. If you think the top is getting more brown before the cake is done, cover it gently with an aluminum foil. Chop the Nougat and Chocolate. In a pot heat cream and butter just till boiling. Do not let it boil, just till it starts to boil. Pour this hot mixture on the Nougat and chocolate and stir continuously till smooth. Take the cake out of the oven and allow to cool. Using a spatula cover the top of the cake thickly with the Nougat frosting. Allow to set for about 30 mins to 1 hour. When using Jam, prefer seedless one. The one with seeds is also okay, but I personally find the seeds annoying. 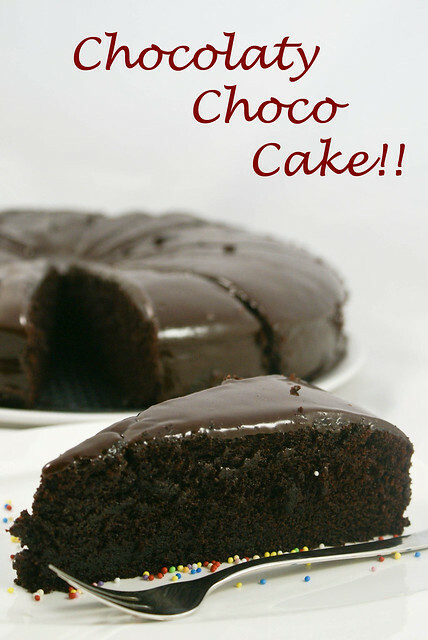 You can even try this cake alternatively, using buttermilk instead of milk. 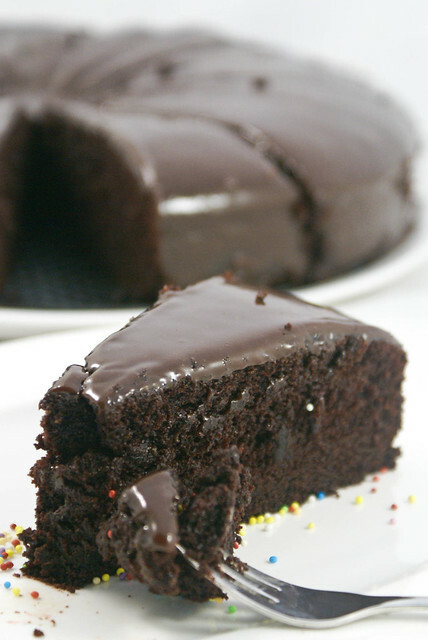 For the frosting if you do not get Nougat, emit that and use 50 gms of chocolate, to make chocolate ganache. Cake looks fantastic. Nice clicks. Spandana, cake is sinful!..and love your new place..so beautifully done..I won’t mind hiring the same pros..:))..
My mouth is watering. It’s looking fantastic. Ansh is lucky enough to have a mom like u.